Strangers share Christmas dinner in a Copenhagen restaurant. 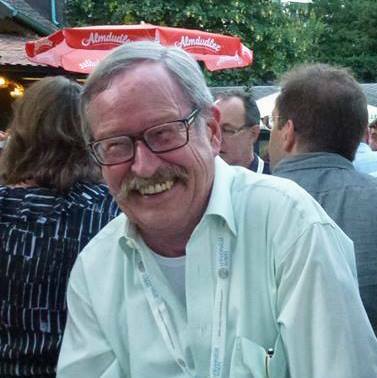 Thomas E. Kennedy is an American expat who has lived in Copenhagen for more than thirty years. He has published hundreds of essays, stories, and interviews, as well as almost forty books. His latest are the third and fourth novels in The Copenhagen Quartet series: Kerrigan in Copenhagen (2013) and Beneath the Neon Egg (2014). His work has been honored with Pushcart Prizes, an O. Henry Prize,and a National Magazine Award for the essay. In 2016, he was the first American to win Denmark’s prestigious Dan Turèll Medal. “Prix Fixe — the table next to yours,” was published in our second issue, themed “Hunt, Gather.” In the spirit of holiday hygge, we offer it to those who dine alone on Christmas, and those who find new friends. Savor the beginning below, or jump to the complete version, now on Medium. The young man gestures to a small table with a single setting, just alongside a table of the same size set for two. He tilts his head pleasantly, but you see an edge to his smile — of what? Pity? You thank him and sit, smiling around the dining room because you feel conspicuously alone. There are three women — no, two women and a long-haired elderly man — off ahead, speaking Swedish. Across from them are an even more elderly Danish couple, strangers apparently, with whom they are toasting: “Glædelig jul!” Merry Christmas. The table behind you seats eight and seems to be occupied by a mix of Frenchmen or Belgians and Americans, maybe Canadians, speaking both French and English by turn. Makes you think of your Irish-American father and French-American mother, both long gone. An orphan in his late sixties, you think wryly, looking at your hands, your father’s onyx-and-gold pinky ring worn on your right ring finger. The repertoire on the sound system, you notice, seems to be limited to a kind of reggae number in which people sing over and over about Mary’s boy child, Jesus Christ, being born in Bethlehem. Every time you pay attention, the song has begun again, which colors the evening with a tint of Groundhog Day. The waiter angles the label of a wine bottle in front of you: Alsatian, J. B. Becker. “Riesling?” he asks. The sound of wine chuckling into your glass is cozy — hyggelig, as the Danes say. It is important to have hygge — coziness — on Juleaften. It was too dreary to stay home watching a DVD or reading. Your ex, who is hosting your and her grown children and families, has not invited you. December 24 is the main evening of celebrating Yule for Danes, and there are only a couple of restaurants in Copenhagen open today — mostly for foreigners stranded, by chance or choice, in the Danish capital. Originally, you reserved for two here in this Victorian-style place — dark leather and shelves of old books — across from the Central Station, but your sometimes-girlfriend who was to dine with you this evening canceled for a last-minute invitation from her grown children and families, has not invited you. December 24 is the main evening of celebrating Yule for Danes, and there are only a couple of restaurants in Copenhagen open today — mostly for foreigners stranded, by chance or choice, in the Danish capital. Originally, you reserved for two here in this Victorian-style place — dark leather and shelves of old books — across from the Central Station, but your sometimes-girlfriend who was to dine with you this evening canceled for a last-minute invitation from her daughter. And you know that Rilke has sealed your fate with his poem: Whoever has no house now will never have one. Whoever is alone … will wander the boulevards, up and down, restlessly. You will not lie down to that lonely fate; you will hunt, you will gather what you might of Yule cheer, or die trying. So you have showered and shaved, splashed your jowls with Acqua di Giò, donned your three-button, olive-green Italian corduroy suit, a crisply laundered shirt, your MOMA blue-and-beige silk necktie, and your beaming, polished wingtips. In honor of the evening, you have even worn your father’s gold wristwatch, which your sometimes-girlfriend fitted with an alligator band a Christmas ago. You thought to slip some notepaper into your inner breast pocket and clip your Montblanc there, too, to busy yourself taking notes about the food if you feel called upon to hide your face at some point. No one has yet met your eye, but you maintain what you hope is a pleasant half-smile behind your bushy, freshly waxed mustache and point your face around, hoping you don’t look too much like a lonely old guy. At least you’ve lost ten pounds so you’re trimmer; your pants are not so snug. You will not lie down to that lonely fate; you will hunt, you will gather what you might of Yule cheer, or die trying. A tall, slender young woman in a clinging, low-cut black dress enters. She speaks to the waiter, who shows her to the table beside yours and holds her chair while she sits opposite you, one table removed. The young woman smiles. She has long, straight, black hair, and a ruby on a thin gold chain dangles in the midst of her cleavage. Maybe it is a costume ruby, you think, but false or real, it still has the most enviable place in the dining room. “Are you alone?” you ask, without any thought as to what you might say if she answers yes. She is much too young, but she might enjoy the company of an elderly gentlemen, just for dinner. An orphan in his late sixties, you think wryly, looking at your hands, your father’s onyx-and-gold pinky ring worn on your right ring finger.Of course, you think. 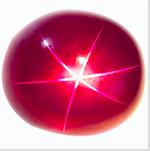 No doubt some young cavalier whose eyes will be treated to the ruby dangling in her kavaliergang — Danish for cleavage, literally “cavalier passage.” You detected some kind of accent when she spoke. Perhaps Swedish. “Have you noticed that song keeps playing over and over?” you say. You caution yourself not to celebrate the good fortune of two lovely women seated beside you just yet. They might freeze an old coot like you out. Her smile is pleasant, though — you think — slightly distant. “I do no hear the music before,” she says. You get the message: I vant to be alone. You sip your Riesling. The menu is prix fixe this evening, wine included: fried herring with a poached egg as a starter; roast duck leg and candied potatoes for the entrée with Pinot Noir; rice pudding with white chocolate and blackberry sauce, port wine for dessert. In between the starter and the entrée, they will serve a mint sorbet as a ganerenser — to freshen the palate. You signal the waiter and nod at your empty glass. He pours with no argument. A good sign. You notice the starters being lined up on a serving counter just as another woman, blond, in a fuzzy white sweater and close-fitting black slacks, enters. The ruby-adorned girl lifts her hand to the blond woman, who then takes the chair across from her. You cannot see the newcomer without looking directly, and you think that would be impolite. You nod obliquely to her, mutter, “Merry Christmas,” cautioning yourself not to celebrate the good fortune of two lovely women seated beside you just yet. They might freeze an old coot like you out. Anyway, you do not want to force yourself on them. 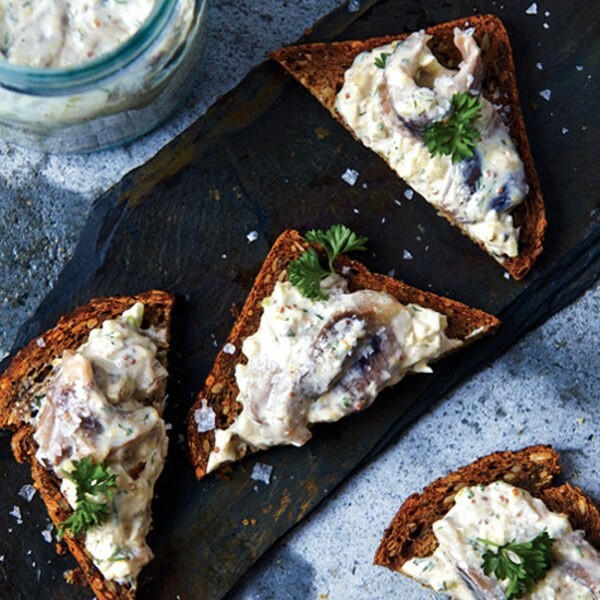 The waiter serves the stegte sennepsild, herring warm and fried in mustard on triangles of dark rye bread. It mixes deliciously with the smilende æg, poached egg, and the vinaigrette salad of walnuts, delightfully sour giant capers, diced red beets, and red onion — rødbeder and rødløg. 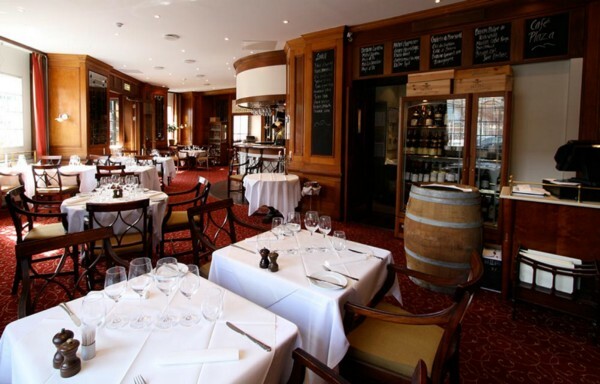 Moreover, the waiter offers more Riesling, which you accept with a smile that emanates from the pleasure of your palate. You try to identify the language that the two women are speaking. It is not Swedish. At first you think Russian, but it sounds more Eastern or Central European. There’s more food, flirtation, wistfulness, and literature to come. Click here to read this essay in its entirety on Medium. And very merry hygge to all our readers! Remember to clap for “Prix Fixe” using Medium’s hand icon so that other readers can find their hygge. Royal Copenhagen Christmas china for one, from RoyalCopenhagen.com. The author in a Copenhagen summer. The Restaurant Plaza Grill, which hosts a special Juleaften dinner each year. Photo from the Plaza Hotel website. 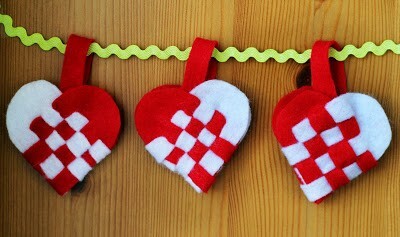 Woven heart ornaments are Danish tradition and the coziness of hygge. You can find out how to make them on Meganrad. 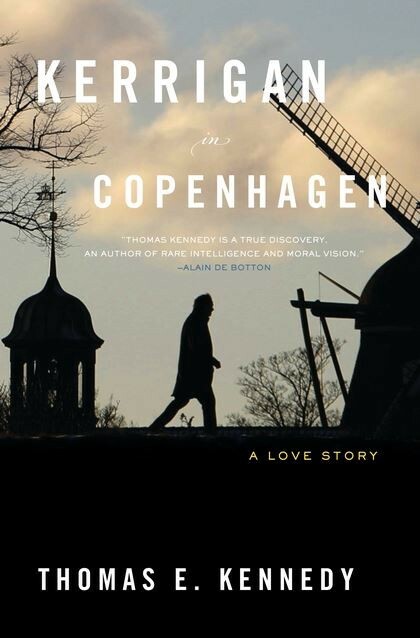 The cover for the penultimate book in the Copenhagen Quartet features a scene from the city. 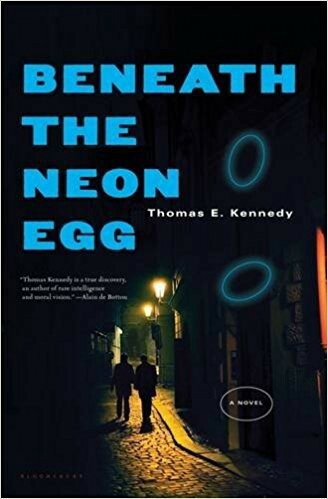 Beneath the Neon Egg is the last book in the quartet. This essay first appeared in our “Hunt, Gather” issue. One way to eat herring. Festoons of Danish flags are part of any well-decorated Jultræ (Christmas tree). Previous post"My Life in Pantyhose," from Writers on the Job, by Susann Cokal. 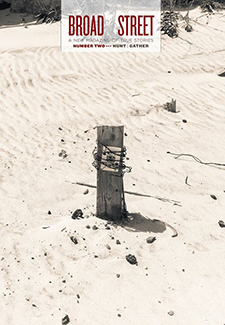 Next postShare This Poem: "Archeology," by Jill Dery.